LOS ANGELES (CelebrityAccess) — Live Nation's Ticketmaster announced the appointments of Jeff Somers to the post of chief product officer; Kat Frederick, as their new SVP, product strategy; Catherine Martin VP, communications, from Edelman; and Ismail Elshareef, VP, open platform and innovation. 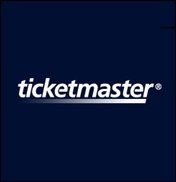 The four new hires join Ticketmaster's recently reformed executive suite with an eye on improving customer experience. Somers comes to Ticketmaster from from eBay North America Marketplaces; Kat Frederick formerly toiled at PriceGrabber; Catherine Martin joins the Ticketmaster team from Edelman and Elshareef comes from Edmunds.com. At eBay, Jeff Somers was vice president and responsible for managing the company's core business units — Motors, Fashion, Electronics, Home & Garden, Collectibles and Deals — and for launching new business on the eBay platform, resulting in $600M in growth in 2014. Somers has spent close to 20 years in senior leadership roles across the consumer technology and e-commerce spaces at Amazon, Zillow, and Microsoft, and served as CEO of PluggedIn Media. At PriceGrabber, Kat Frederick was vice president and responsible for product marketing and strategy for desktop and mobile e-commerce solutions impacting millions of shoppers. Prior to PriceGrabber, Frederick held senior roles at Yahoo! and Distillery No. 209. At Edelman, Catherine Martin was senior vice president and led communications programming for consumer technology brands PayPal, Pandora, and Adobe, and has a successful track record working with both Fortune 500 and start-up companies. At Edmunds.com, Ismail Elshareef was executive director, open platform and previously held a variety of roles launching Open API platforms globally.